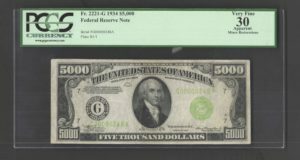 Small Size $5000 Federal Reserve Notes, depicting James Madison, 4th President of The United States, are extremely rare and valuable banknotes. 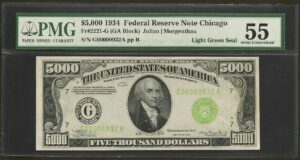 The notes were printed for both Series 1928 and 1934. With just 340 notes outstanding, records indicate that there are currently 213 surviving examples known.